1. We are the only Event Company in Australia to offer full Silent Disco Service. Your one stop shop. 2. We are local and provide delivery, setup and staff with DJ’s lighting, lasers, special effects. 3. We even have outdoor software to register attendees with, so no headphones go missing. 4. We have the best quality equipment, 3 channels and up to 500m range. 5. We are the only Silent Disco company offering a 100% money back guarantee. 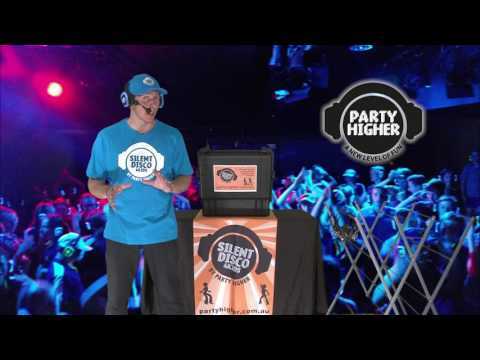 Party Higher, the most innovative wireless headphone company in Australia, were the first in the world to develop Silent Disco 4 kids programs, Silent Cinema, Silent Expos/Conferences, Silent Dance classes etc. Party Higher Specialize in Children’s parties, School events and school holiday programs. We also specialize in large corporate/community events/festivals, universities and sports clubs providing other unique services such as UV body painters, foam machines, fireworks and lots more. We have different packages to suit all budgets from as low as $320. If you know what you have to spend (your budget), then we will assist you in creating the best experience for your dollar. We will always beat any identical written quote. 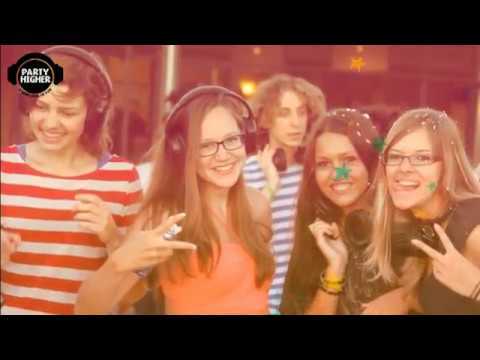 We are the only Company to provide a full local on-site Silent Disco service. So our price is packaged and provides full service. You don’t have to worry about anything – we do it all for you. We even bring extra headphones with us just in case you need more. What makes your price competitive? We are the only company to provide a full service. Our technicians will deliver and setup your Silent Disco for you. We provide lighting, lasers and special effects included. We offer 3 channels of different music included too. We don’t charge event management fees. We don’t ask for any security bond. We own our equipment so do not have to hire it out. We provide on-site tech support for FREE. Just tell us indicative number of guests, duration of event and if you want us to provide you with a live DJ. Location of event will also be helpful as we do charge extra for outer regions. Let us know what the occasion is too so we can suggest ideas that may be of benefit to you too. Yes, we have Insurance of $20 mil product & public liability. Do all your staff have Working With Children’s Checks (WWCC)? Yes, all of our staff who work with children have a WWCC. Are you licenced to serve alcohol? No we are not, however we can supply you with Daiquiri machines of which you can add in your own alcohol. Yes you can. Alternatively we can provide one of our highly experienced professional DJ’s. Can we have 3 DJ’s playing at once? Yes, one on each channel. The DJ’s can be in the same room or in different rooms. We can supply 0, 1, 2 or 3 DJ’s or if a larger event like Melb Cup a whole line up of DJ’s. I have a mate or two who DJ can they play on 2 channels and your DJ play on the other? We are totally flexible and will fit in with what you want. What happens if one of our guests breaks a headphone or one gets stolen? Good question. In our agreement with you it stipulates that if there are any headphone breakages or missing than there will be an additional charge of $50/headphone. ~ We provide you with signs warning people that our headphones can only be used with our equipment and to please return after use. ~ We man the headphone stand either at the one entrance/exit of the room to ensure one headphone per person on entry into the room and one headphone per person is collected on exiting the room. ~ If the event is in an open area or bear garden or park etc and there are no barriers than we run a registration table where we collect guests details and scan their ID’s on our proprietary software on our tablets. Our headphones are electrical. A little bit of drissel is fine but if it is enough to soak your hair and drip down your face then it will damage our equipment so stop dancing outside and find somewhere undercover to continue. What ever happens you must keep the Transmitters dry. Are all your equipment tested and tagged? Yes all of Party Higher’s Equipment is tested and tagged. We have done events for almost every council and for Crown Casino and Victorian Racing so have to have everything checked and tagged for safe usage. Can we have a party in our house? Yes, absolutely. One of the best things about Silent Disco is that you can party all night without disturbing the neighbours. “Please still tell your neighbours via a letter drop or quick knock on the door but let them know you are being environmentally conscious and having a Silent Disco – So no blaring music only laughter and fun. Our specially designed transmitters will work throughout the whole house in each room, upstairs, downstairs or even in your front yard and back yard. Can we have an event in an open area such as the beach or park? With our outdoor registration software we can assist you to run an event anywhere. We have run many outdoor events such as Queen Victoria Night Market and many council festivals with our registration software and we have 100% record of returned headphones. Sure you can. Create your own playlist on any music source that has a headphone output jack on it and we can plug our transmitter into that to play your music. Can I use my phone to play the music playlist from? We can supply you with licensed music playlists on MP3’s or tablets. Depending on the type of event package you are taking there can be a small charge for this. With some packages these are provided for free. Our Playlists cover almost every genre and era of music so you can just press play on a playlist and not have to worry about the music. The great thing about Having a Silent Disco with Party Higher is the very fact that three different genres of music can be played at same time. With a selection of three types of music more people will get up and dance.